Zebrafish are a powerful model system in biology to study a wide variety of fields including genetics, development, chemical biology and diseases. BMC has set up a zebrafish core facility to grow and manipulate zebrafish. The fish are kept at the University of Reykjavik, in the laboratory of Prof. Karl Ægir Karlsson, where they have been used as a model for studying sleep and wake physiology for many years. Zebrafish at the facility in collaboration with the start-up company 3Z are routinely used for drug screening using behavioural analysis. The core facility has also set up a microinjection station to manipulate zebrafish eggs. This is used to either knock-down the expression of a certain gene using morpholinos or to create mutant zebrafish lines using the CRISPR-Cas9 technique. 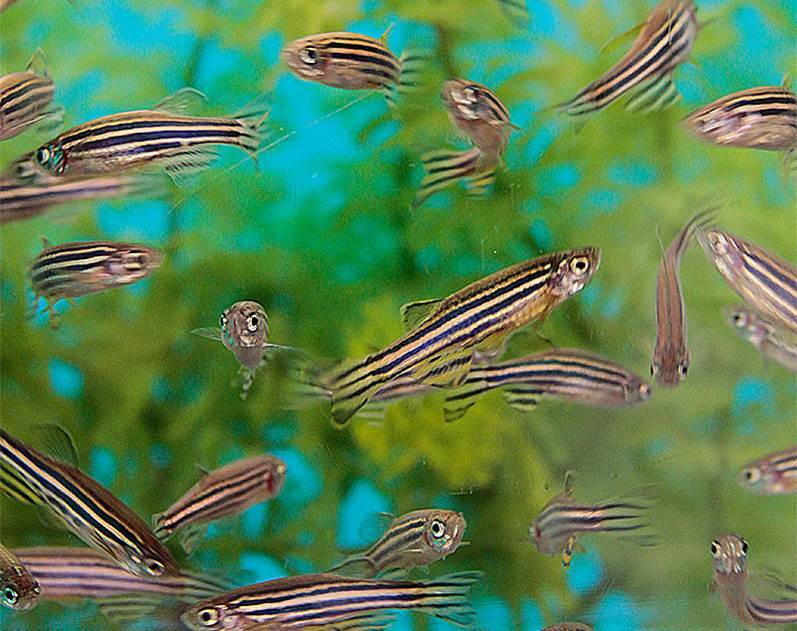 We have a license to generate genetically modified zebrafish using the CRISPR technique, and the facility welcomes groups interested in generating mutant zebrafish lines and studying the effect of the mutation on for example zebrafish development, morphology and behaviour.